Meerkats are highly social animals and form family groups of around 20 individuals. They are constantly on the lookout for danger, searching the skies and horizon for any sign of predators. This meerkat was having one last check before settling into its den for the night. 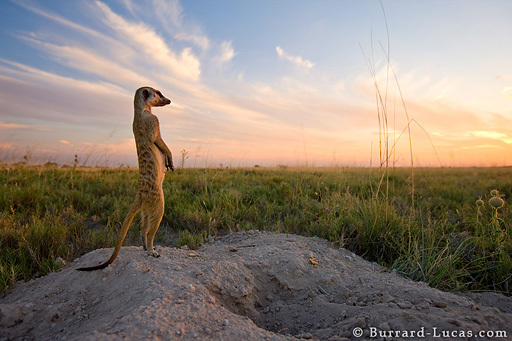 Using a wide-angle lens I wanted to show the meerkat in its stark, but beautiful natural surroundings.